When I was growing up I was fortunate to be a frequent guest at the cottages owned and rented by the parents of a few of my friends. My family was one of the many without a cottage. As I recall the standard furniture style was what I like to call now "Early Canadian Castoff". Now I am fortunate in that the castoffs that our cottage inherited were not old and well used. Truth be told they were the result of two households coming together when I remarried just a few years ago. 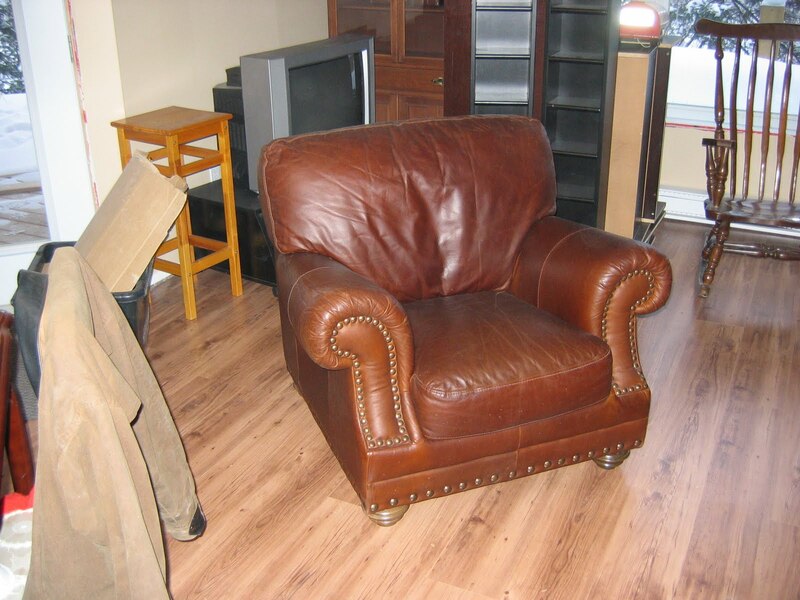 Of course my male-oriented big armed leather furniture didn't make the critical fashion sense of my new wife -- was that a sight of relief I heard when I suggested that 'my' furniture would do nicely up at the cottage? In hindsight it was a good decision as the big leather chairs and sofas are easily dusted and wiped down - they wear much harder than the Thomasville furniture we have back at home. ...and I so look forward to curling up with a book in my big old leather chair each time I arrive at the cottage! How have you decorated you Cottage? Fashionable, inexpensively, or comfortably?